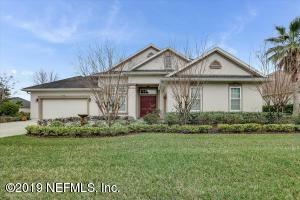 OPEN HOUSE WEEKEND - Saturday March 30th & Sunday March 31st from 11am - 2pm. Welcome to your truly custom home! Currently home to a local artist, with over $100k in upgrades, this unique find sits on a large corner lot in desirable Kensington community (NO CDD fees!). 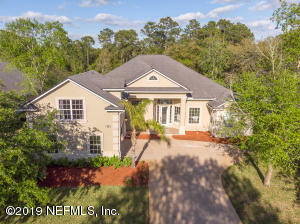 Built by Dream Finders Homes in 2016, this Fleming II floor plan offers a Three Car Garage, Grand Entry, 11-foot coffered ceilings, beautiful wide plank hickory wood flooring, and all designer light fixtures throughout. Triple patio pocket doors allow natural light to flow throughout this open concept space complementing a gourmet kitchen, which boasts a gorgeous oversized quartz island and lovely coordinating marble backsplash. MOVE IN READY with an INCREDIBLE outdoor living space! 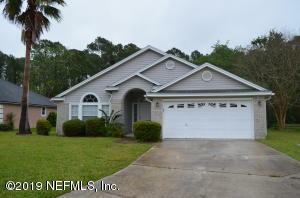 With 4 bedrooms on the ground floor and a 5th bedroom/bonus room on the second floor~this home has the perfect layout! The garage has a 2 door access but has the area of a 3+ garage for storage and toys. The interior & exterior have been recently painted, extensive landscaping added and the private backyard space has been transformed into a magnificent living area. Exterior features 463 sf under cover + pool-tanning area-it is truly one of the best outdoor spaces you will find. 4K smart TV hung on exterior wall under cover for entertaining on lanai or even in pool! Owners added a 26 X 13 1/2 foot salt water, heated pool (solar cover included) in 2017 which includes a variable speed system for electrical efficiency. Welcome HOME to soaring ceilings, a SPACIOUS OPEN layout and sensational backyard POOL OASIS! When you walk through the front door, the view is breathtaking & inviting! 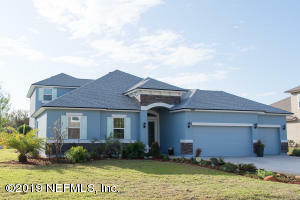 This 5BD/4BA home features FRESH interior/exterior paint, SPLIT floorplan & a separate office. Large Dining, Living & Family rooms offer plenty of space to entertain! Kitchen boasts new LG Stainless Steel Refrigerator, built in-microwave (2018) & Gas Range (2018). Eat-in area provides generous natural SUNLIGHT & large windows to enjoy backyard view! Family Rm w/built-ins & Gas Fireplace ready for COZY relaxation. Desk niche work space close to kitchen. Upstairs 5th BD could be Bonus Rm! Exceptionally deep preserve lot. Oversized 2.5 car Garage. A+ Rated Schools!! Priced BELOW APPRAISED VALUE. 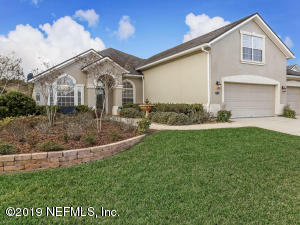 4 bed 3 bath 3 car garage w/office & bonus. 1/2 acre Lake lot w/screened lanai. NO CDD FEES! RECENTLY REDONE! New 5ton AC, New carpet & pad, New SS appliance, new paint. 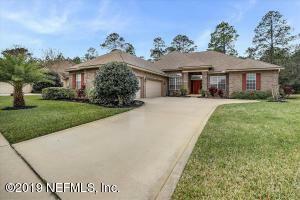 Extensive hardwood floors, 8'' crown molding, plantation shutters, full granite in kitchen w/42'' cabinets & island. Large master w/his & her closets. Master bath has separate vanities, garden tub, shower w/dual shower heads. Bonus room wired for surround sound. Home speaker throughout house & lanai. Home inspection has been completed. 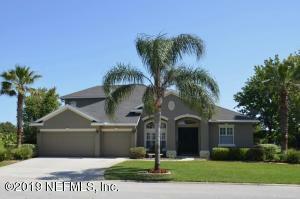 This spacious 4 bedroom, 3 bath home located in the beautiful Kensington neighborhood is waiting for you! 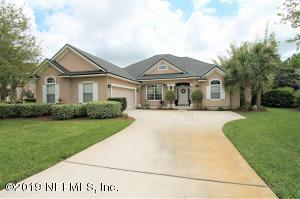 The location is perfect just a few miles from the St. Johns Town center and the beaches! The large backyard is perfect for entertaining during the Spring days and night. Do not miss this opportunity.. set up your showing today! 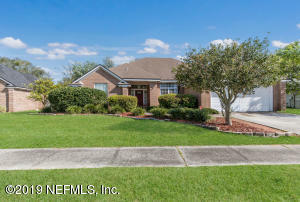 Spacious 3 bedroom 2 bath home with split bedroom floor plan, formal living and dining rooms, kitchen with breakfast room over looking large family room with fireplace. Inside laundry room and a two car garage. Large back yard over looks wooded area. AC replace within last year, newer all hard floors throughout-no carpet! In convenient , beautifuly maintained Kensington.